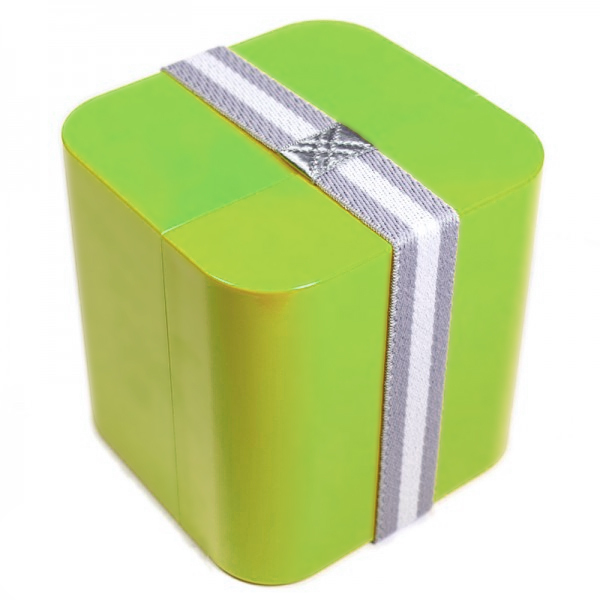 Bento Cube is just like a mini version of Bento Colors. 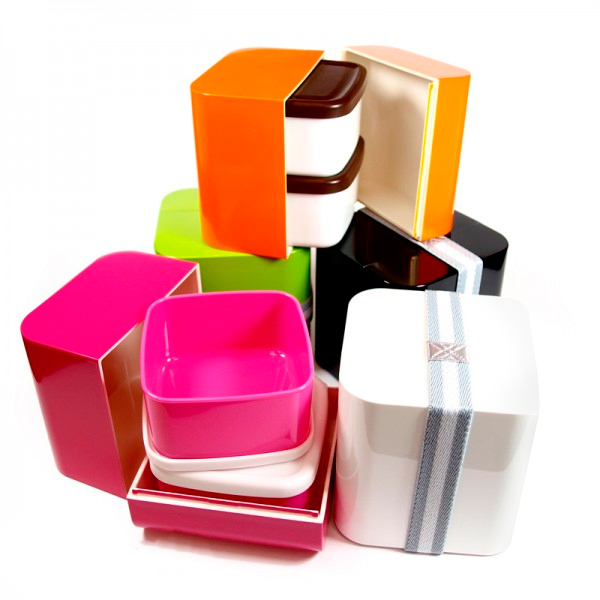 Each unit consists of a colorful outer case, and two stacking inner containers in matching colors. The inner containers have their own leakproof lids, and can be used without the outer case. You can also fit other foods inside the outer case, like a container of yogurt. 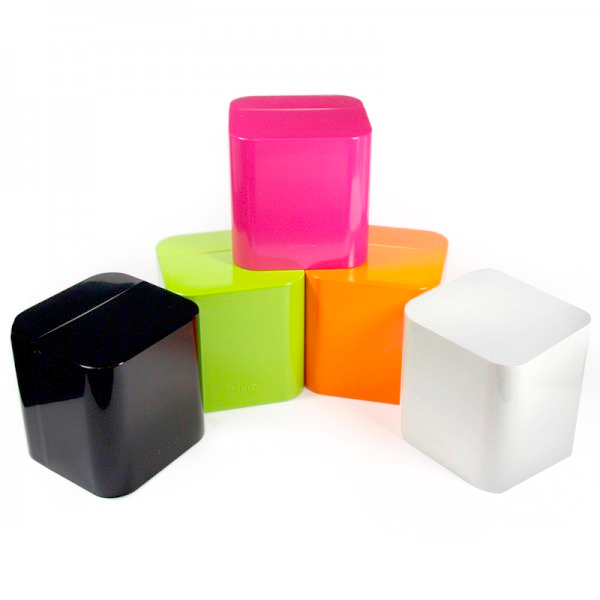 Bento Cube is available in 5 colors: Orange, White, Black, Baby Pink and Green. 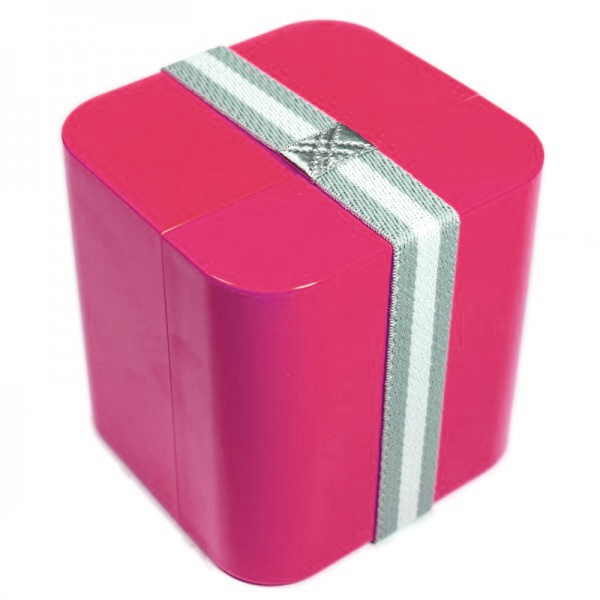 A grey elastic bento band to keep the outer case securely closed is included. Total capacity: 500ml (250 ml x 2 containers). 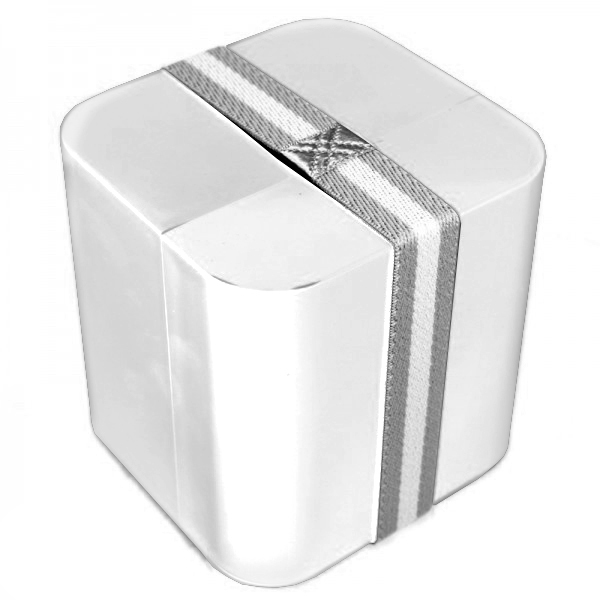 Dimensions of the outer box: 10 cm (about 4 inches) square. It's almost a perfect cube! The outer box is made of Acrylonitrile Butadiene Styrene (ABS) (recyclable and has the number "9" as its resin identification code). The inner containers are made of Polypropylene (PP) (recyclable and has the number "5" as its resin identification code) (maximum temperature: 140°C or 284°F). Can be microwaved (maximum 2 minutes at 700 watts) with the lids removed. Material： Acrylonitrile Butadiene Styrene (ABS) (recyclable and has the number "9" as its resin identification code)?, Polypropylene (PP) (recyclable and has the number "5" as its resin identification code)?